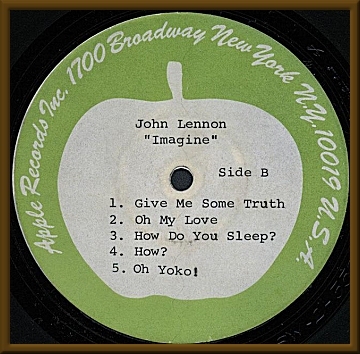 This is a rare vinyl test pressing of the released Imagine LP by John Lennon. 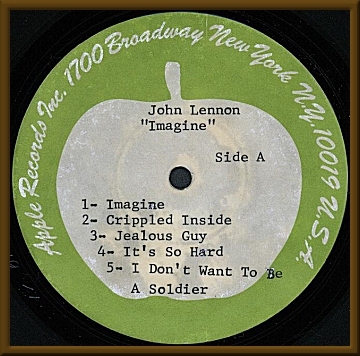 Pasted over plain white labels are Apple Records (New York) labels with typed track listings. These are the same labels as used on Apple acetates. Also augmenting this lot is a Bell Sound Studios LP cover and Sam Feldman’s informative EQ notes which also include production info about the acetates that were cut. Beautiful condition!! Disc VG++.